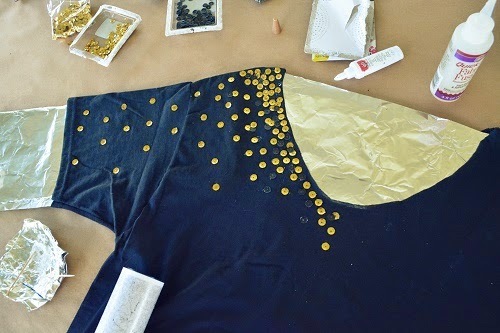 I love sequins. 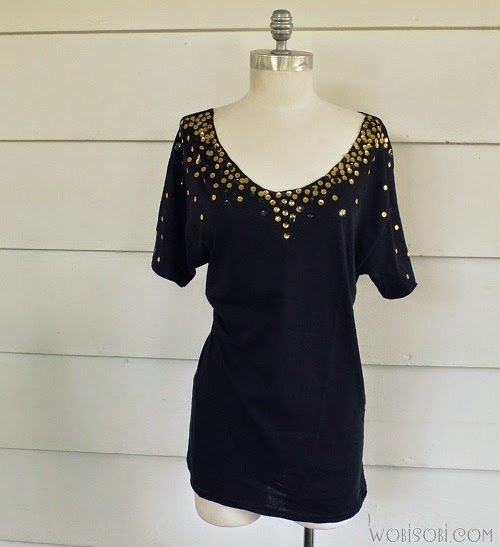 The sparkle and shimmer. They are so mesmerizing to look at. Clumping them together gives an even more mesmerizing effect. 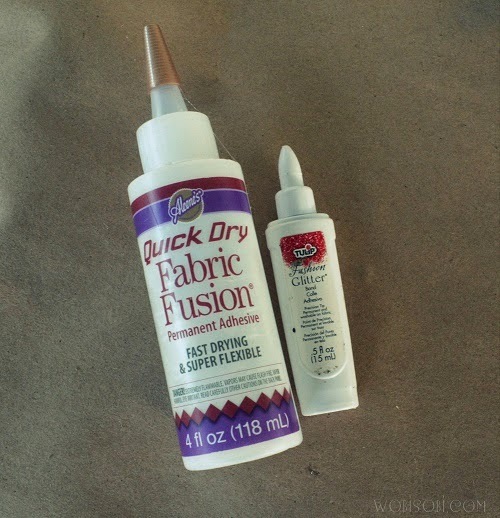 and tulip fashion glitter bond, or Aleene's Quick Dry Fabric Fusion. 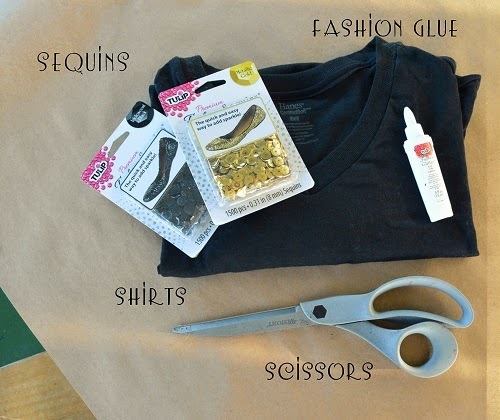 making this inexpensive tee look like something you bought for much, much more. 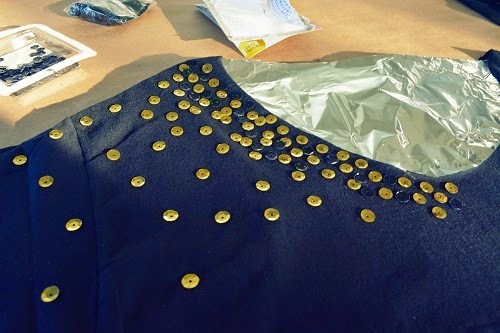 Oh yeah, did I mention it is completely no sew. First you will want to cut off your collar. 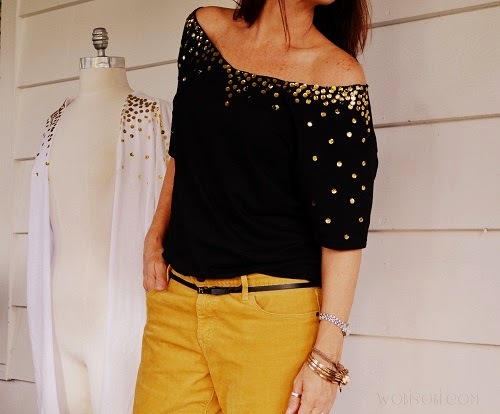 This will give you the off the shoulder look. 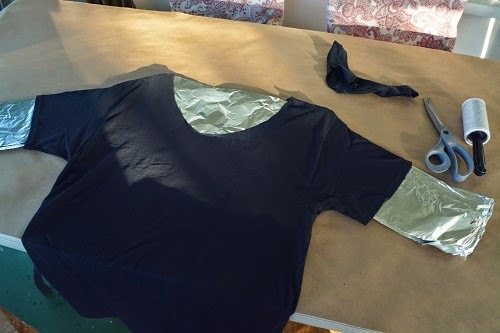 Place aluminum foil in between your shirt. 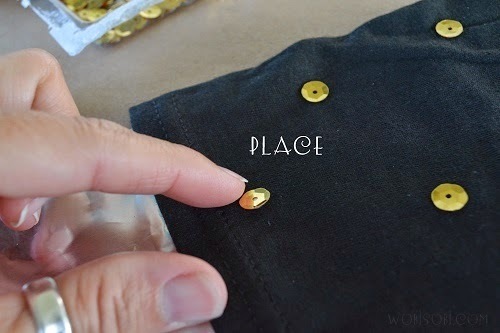 Arrange your sequins the way you want them. Now start to glue them down. I tryed both the glues. 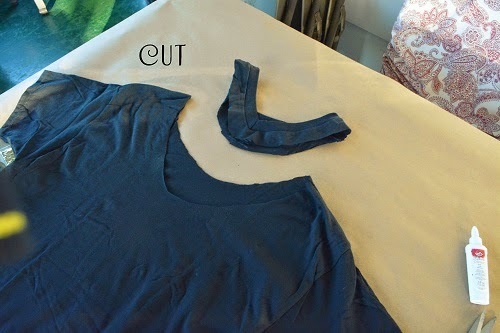 the fabric fusion is quick dry, so I worked a little section at a time. 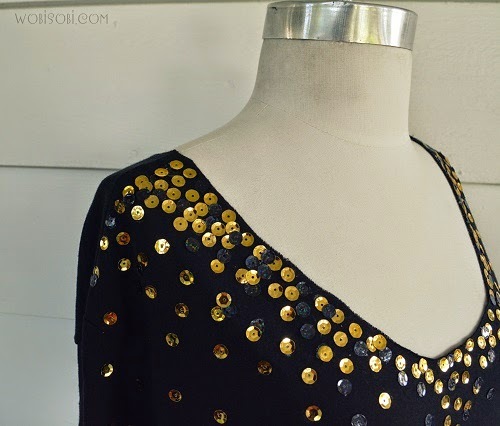 depending on how many sequins you have arranged. Once you have one side done, repeat image on the other shoulder. 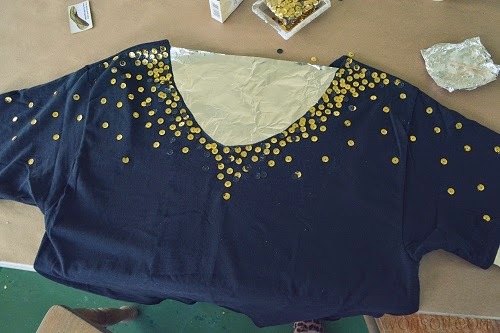 I opted for a lot of sequins around the neckline and then gradually fading them outward. 48 hour before you wash it. Wash in cold water or hand wash on the gentle cycle and hang dry . This made a great date night shirt. Simply amazing! 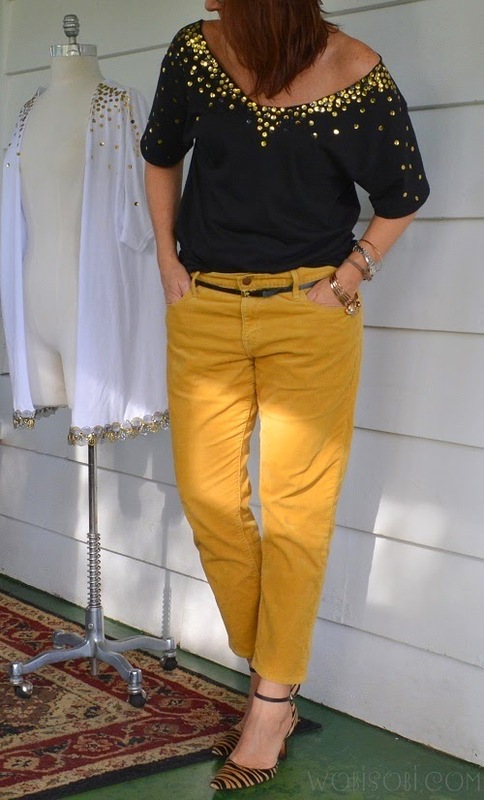 You inspire a gal like myself, with no sewing ability to make stylish and endless projects. How do you wash it?? 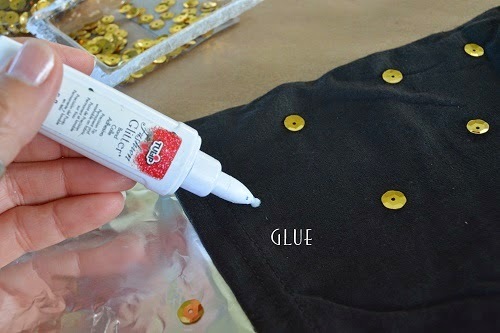 adding sequin fabrics in a cloth create glamorous look. .